This widget is simple enough, but essential for all forms that need to convert a number to Roman or Thai Numerals. 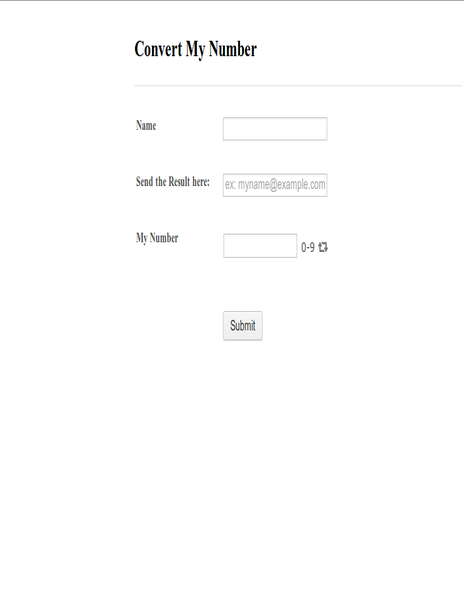 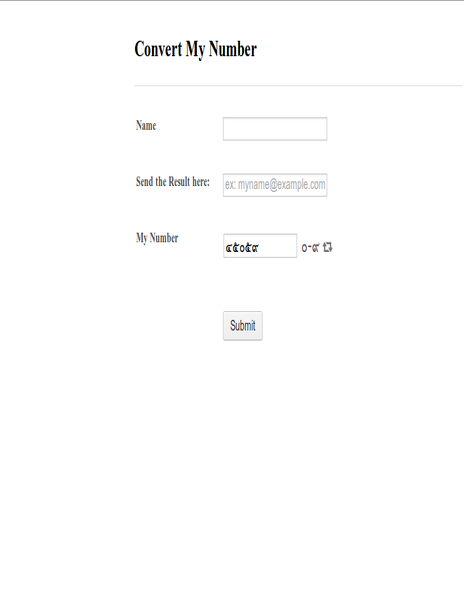 It reuquires very little intuitive configuration after you add it to your form. 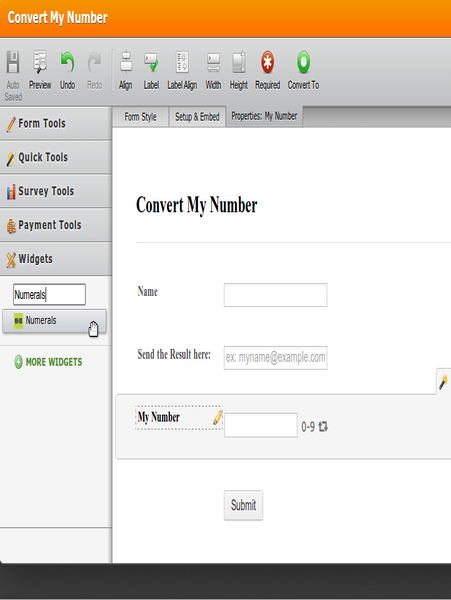 To switch between the various numeral translations, click the refresh button on the widget. When the form is submitted, it sends all the translated results as a submission.